It’s a party hat, a birthday hat, a congratulations hat! 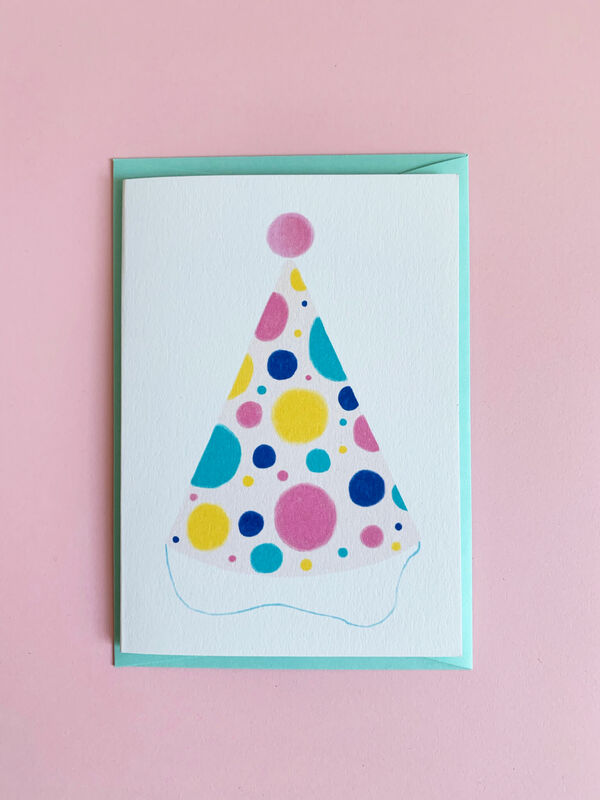 The perfect greeting card for celebrations big and small. 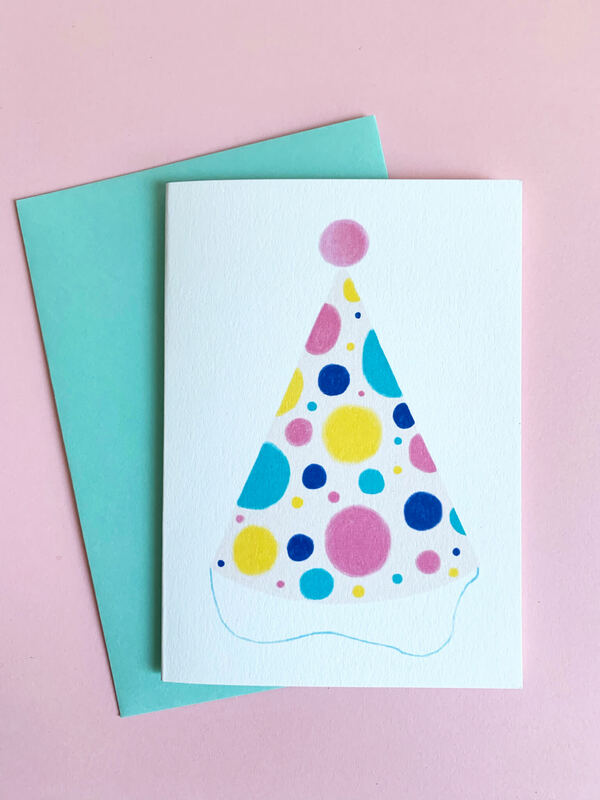 The ‘Party Hat’ A6 greeting card comes with turquoise envelope. 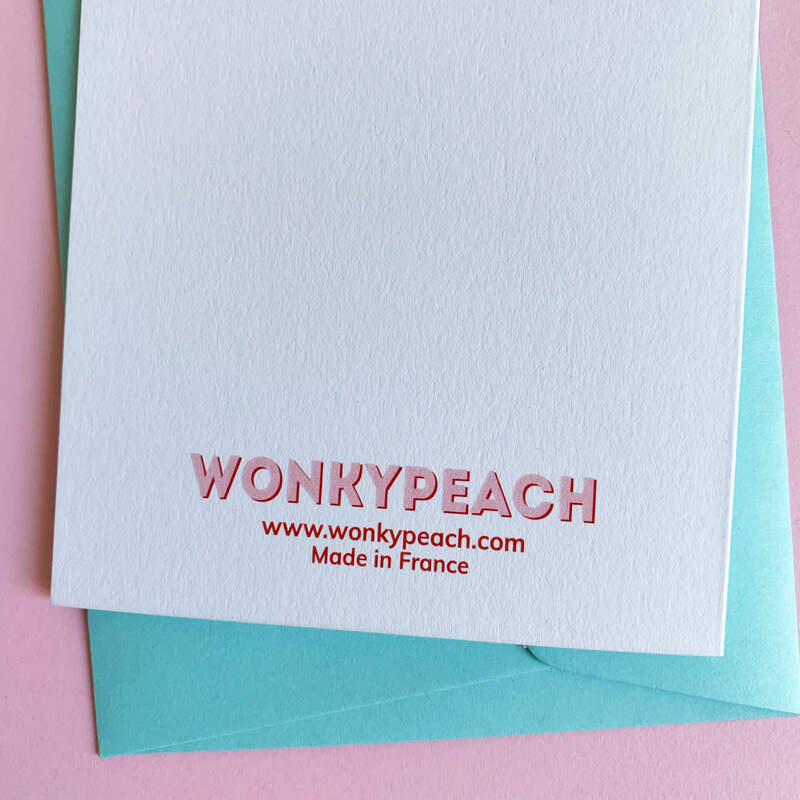 The Wonky Peach ‘Party Hat’ card is printed on 300g Old Mill paper in Montpellier, France. 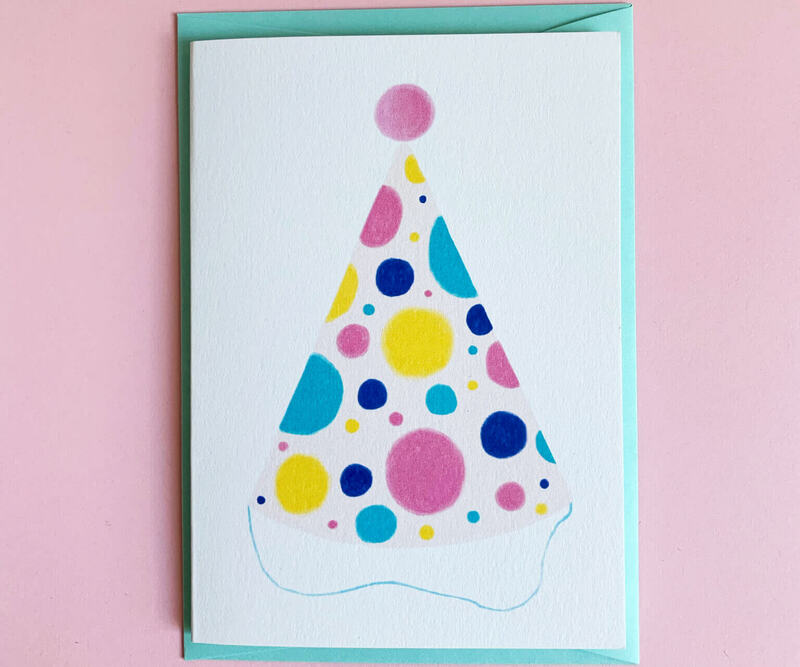 We have left the inside of the card blank, so that you can write a birthday message or congratulatory message to someone important to you. 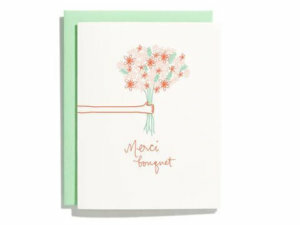 This greeting card measures 105mm x148mm and comes with a turquoise envelope. And don’t forget, shipping to the UK and France is free! Psst… if you like this card, you will probably like the Woohoo card!